Tacoma Art Museum is OPEN LATE and FREE to the community every Thursday at 5 – 8 pm, starting March 1, 2018! 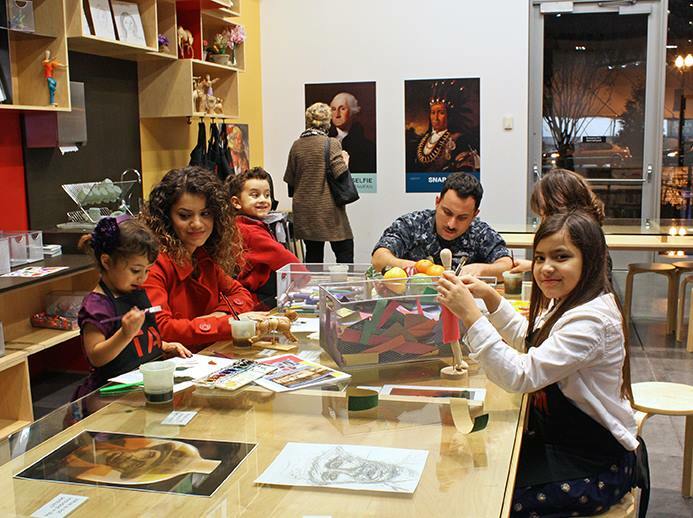 Find your inner artist and sketch in the galleries with an expert teaching artist. See current exhibitions at bit.ly/TAMonview. Head up to the third floor to see TAM Local community art installations (bit.ly/TAMlocal). Enjoy happy hour specials from 4 – 7 pm. See full menu at bit.ly/TAMcafe. Neighborhood Nights are generously sponsored by Columbia Bank.